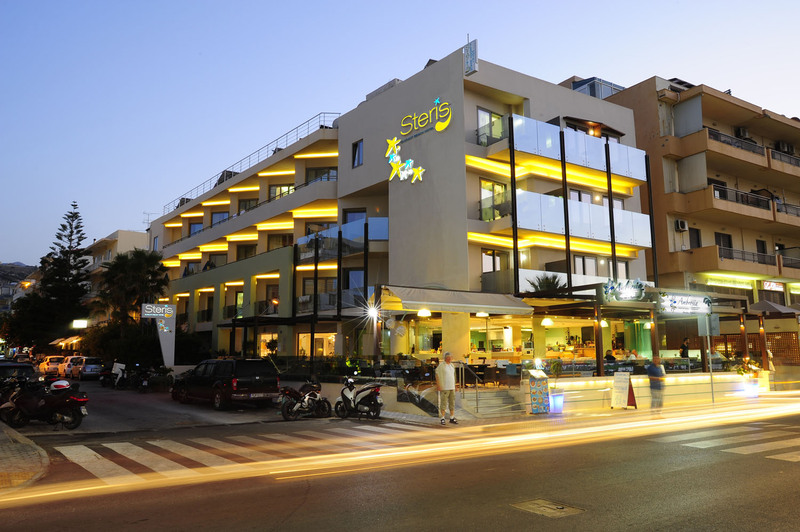 Welcome to Steris Elegant Beach Hotel. You have just reached your ideal holiday haven, on the coast of central Rethymno Crete, open all year round. Its unique beachfront location enhanced by its refreshing modern design and complemented by the heartily hospitality of the hotel’s co-owner, Mrs Athanasia Manolakaki create that perfect combination where accommodation feels homey and high end, exceeding all expectations. 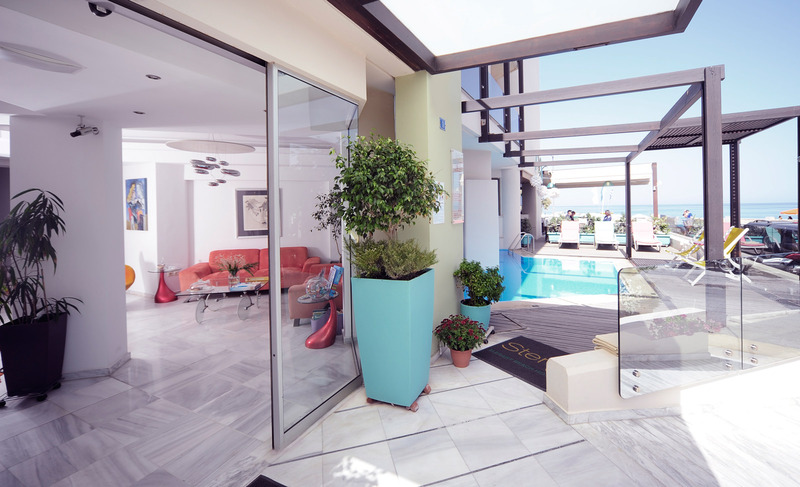 The Steris Elegant Beach Hotel hosts 32 stylish and individually decorated studios, apartments and suites that will meet your expectations of a relaxing, comfortable and cheerful accommodation during your holidays. Either you are eager to spend a whole day to the beach or walk around the picturesque alleys of the old Venetian city and port, the hotel's location is as convent as it can be! Just walk across the street and lay your beach towel an a magnificent awarded beach, or walk along the beach on the pedestrian alley and in 1 kilometer you'll find yourself at the heart of the old Venetian city and it's port! The Steris Beach Hotel is ideally located just 20 meters from an exceptional golden sand beach, awarded with the Blue Flag, and at walking distance from the city's historical center, and just 1 kilometer from the old Venetian port of Rethymno. You get to have the beauty of the big blue and the historical landmarks of Rethymno city at your fingertips.